The old saying goes that people are more afraid of public speaking than they are of death. 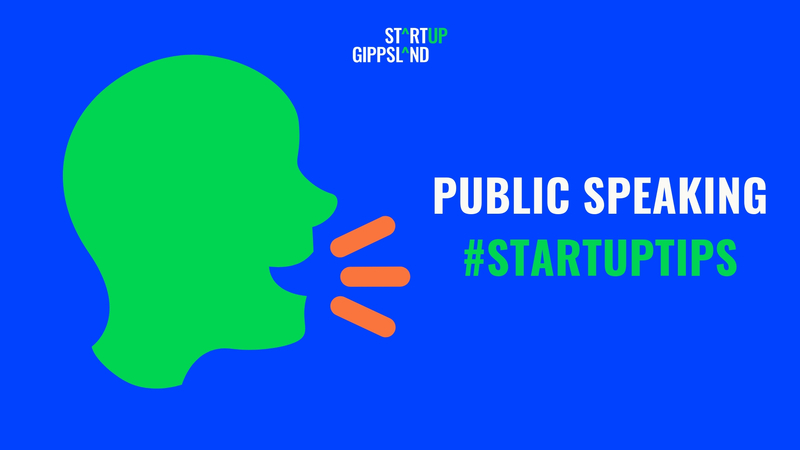 If that’s true, developing the skills to be a confident public speaker is a smart way to set yourself apart from the rest when faced with pitching opportunities, networking and other professional engagements. So you wrote your speech – but you’ve been too busy to practise it properly, and when you do have a moment, the piece of paper you wrote it down on is nowhere in sight. When you’ve written your speech, take ten minutes to read it out loud and record it with your smartphone. Take a photo of the text. It’s now with you at every moment. My favourite times to listen to speeches I’m trying to learn is in the car, while driving – other friends of mine listen to theirs while walking. Several of my friends (performers who need to learn lots of lines regularly) combine both listening and reading the text. Also, when you take notes up to the stage, make sure the text is big enough and clear enough to read from forty-fifty centimetres away (likely the distance between your eyes and the lectern). While you can totally go ultra-modern and take your iPad or phone to the front of the room, it never looks quite as professional. Increased heart rate, shallow breathing, sweaty palms, butterflies in the stomach – all symptoms of nervousness. But they are also the signs our bodies create when we are excited. The only thing that separates them is the decision in our mind that these are either nerves, or excitement. So, make the decision that you’re excited to share your knowledge and information with the people around you, and meet the psychological challenge head on. When people ask how you’re feeling, respond, “I’m excited to be here” rather than “Feeling sort of nervous”, and don’t feel rushed to walk to the stage or start your speech. Remind yourself to breathe between each paragraph, and not only will you help yourself relax, but your confidence will help your audience relax and listen better too. Ask about when you’ll be asked to speak and how to access the stage before the event begins so you know how to get up there (do you have to go backstage? Are there stairs only at the front/side of the stage?). If at all possible, arrive early and ask if you can walk up onto the stage before the event starts, so you can get a feeling for the floor, the height of the lectern (if there is one) and microphone. The entire reason you’re talking in front of other people is because you know something. You’re the expert on this idea, this concept, this business, this app or product. You know it better than anyone else in room – so concentrate on sharing that information with everyone else, with confidence, for their benefit. Putting your focus on your audience and helping them understand the crux of the thing you’re talking about will take your mind off fear about what the audience is thinking of you. Consider the times you’ve been an audience member – its likely that the only time you’ve started thinking about the presenter (or worse, started judging them) is because they’re underprepared, mumbling, talking too fast, seem vague or confused about the thing they’re talking about – or all of the above. Being prepared and knowing your stuff will allow you to project the confidence that allows your audience to concentrate on your content. Under the pressure of speaking in public, it’s very easy to finish your presentation, step off the stage, and instantly forget what you said, how you said it, and what the audience reaction was. Consider audio recording your presentation with your smartphone (with it on Airplane mode, of course), so you can listen back to it later. You may have coined a new phrase in the moment, or discover that a particular description of your idea received a great audience reaction. If you recorded yourself during early attempts, you can also track how your public speaking is developing over time. Whenever possible, I audio record myself when performing or appearing in public. Not only do I then have my own record of how it went, I can listen back to it, notice and observe my speaking habits (too many uhs, talking too quickly, etc) and reflect on the audience reaction – Were people silent and listening while I talked, or chatting in the back? Did that funny line at the end work? Listening to your own talks will give you the time and space to be reflective, spot possible places for improvement, and maybe even allow you to recognise when Yes, actually, you did a damn good talk. Jaklene Vukasinovic is a performer, speaker and presentation coach from Melbourne, Australia. 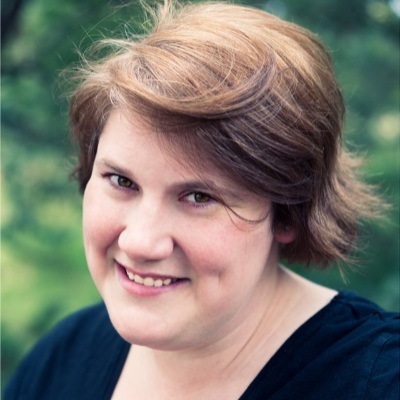 Jaklene trains and performs regularly with Impro Melbourne and The Big Hoo-Haa, and has taught improvisation and public speaking in high schools, universities, businesses and international festivals. With nearly fifteen years of experience working behind the scenes in theatre and live events, she enjoys sharing her knowledge with first-time and experienced presenters alike so they can develop their public speaking skills, share their message and achieve their goals. In cooperation with Impro Melbourne, Jaklene works with companies and organisations to develop growth mindset and openness to innovation via rapid iteration and applying improvisation principles to business relationships, people management and concept development. How can you improve your scalability? 5 Strategies to eat mindfully at work and not skip or shovel lunch. The business of blogging: creating trust. Eimear McNelis on The business of blogging: creating trust. Sally-Anne Watson Kane on The business of blogging: creating trust.